The Rok Straps Dog Leash provides a jolt-free walking experience for dog owners and dogs, alike. The internal parts are made out of solid rubber, designed to make them resistant to chewing. The handle is non-stretch, and it also has a traffic leader, which when combined together provide tightly controlled situations. 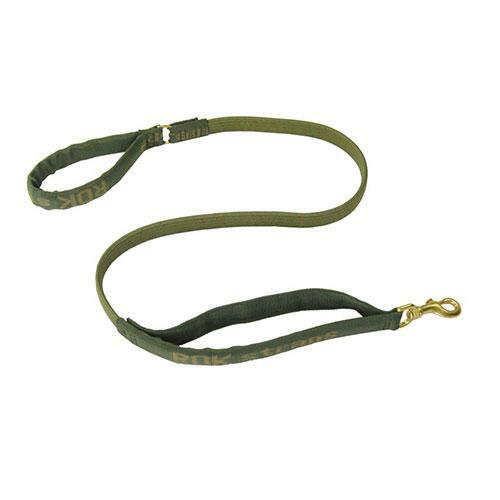 Rok Straps Dog leashes come in many colors, including jungle camo. These leashes also come in three sizes, which allows you to use them despite the size of your dog.